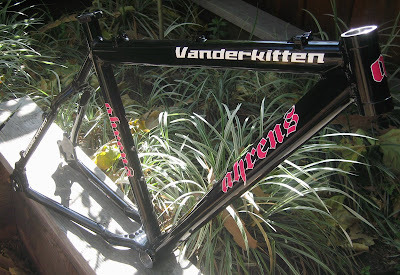 Just finished a beautiful frame for Vanderkitten racer Shannon who will be competing in numerous endurance events this season. 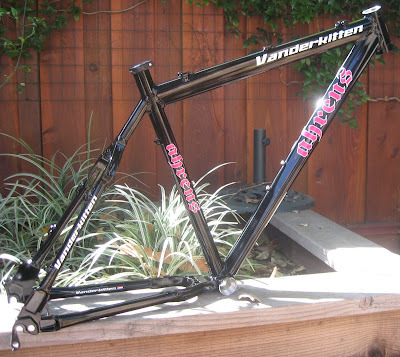 Built with sculpted Easton 7005 Ultralite Race tubing throughout, this machine is race ready! 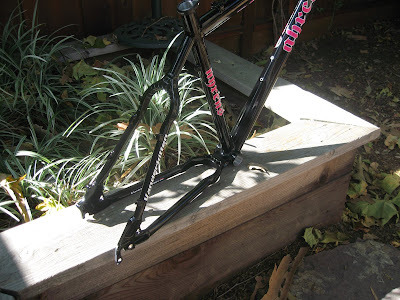 As shown it weighs 3.4 lbs (1542g) and should easily build up to 23 lbs complete.